1) Preheat oven to 375 degrees F (190 degrees C). Position rack in center of oven. Grease or line muffin cups with paper liners. 2) In a large bowl whisk together all dry ingredients all purpose flour, baking powder, baking soda, cocoa, sugar, and 3/4 cup of the chocolate chips . 3) In another bowl whisk together liquid ingredients milk , vegetable oil, vanilla extract ,lightly beaten egg. 4) Mix the dry and wet ingredients together, remembering that a lumpy batter makes the best muffins. 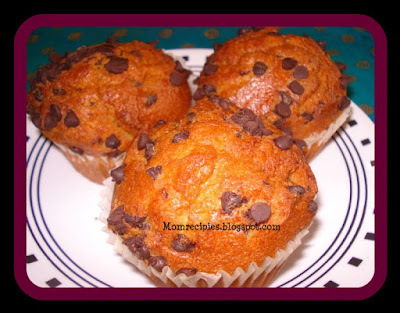 5) Fill the muffin cups with the batter ,using spoon .Fill up to 3/4 of a cup. Sprinkle the remaining 1/4 cup chocolate chips on top and then bake for 20 minutes or until the muffins are dark, risen and springy or until a toothpick inserted in the center of a muffin comes out clean. 6) Transfer to a wire rack and let it cool for about 5 minutes before removing from pan. 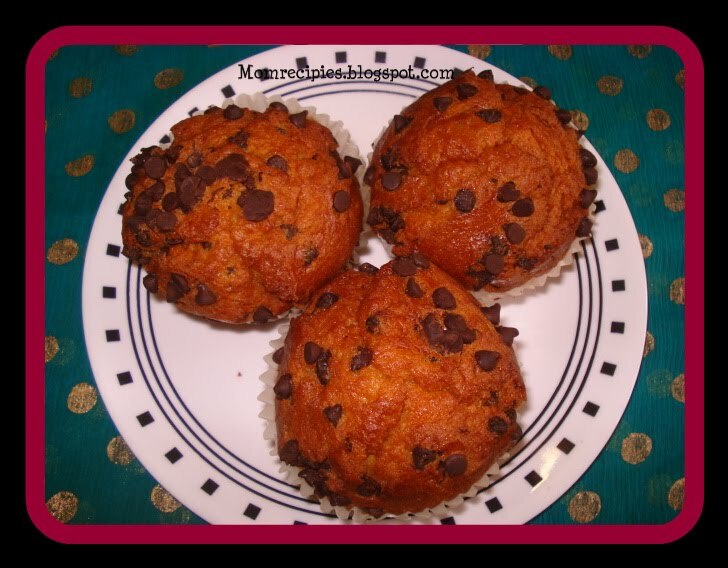 Delicious muffins perfect with a cup of coffee .